Add an edge of extra functionality to any wall mounted shelf or similar surface with this quirky pieces of hardware. 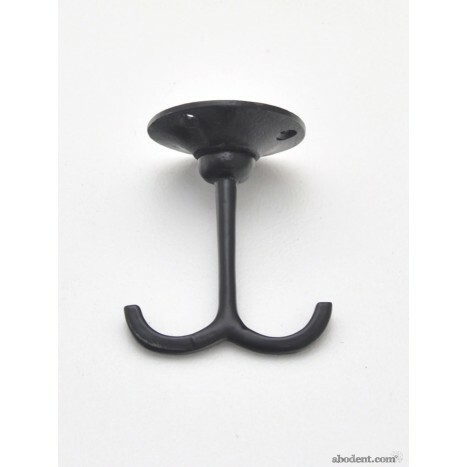 This sturdy quality hook can be fitted to the underneath of your shelves to add the extra convenience and storage space with it's two rotating hooks. Tags: add hooks to shelf, metal shelf hook, under shell hooks, rotating shelf hooks.